Discover the coolest way to pack a tasty, healthy lunch! 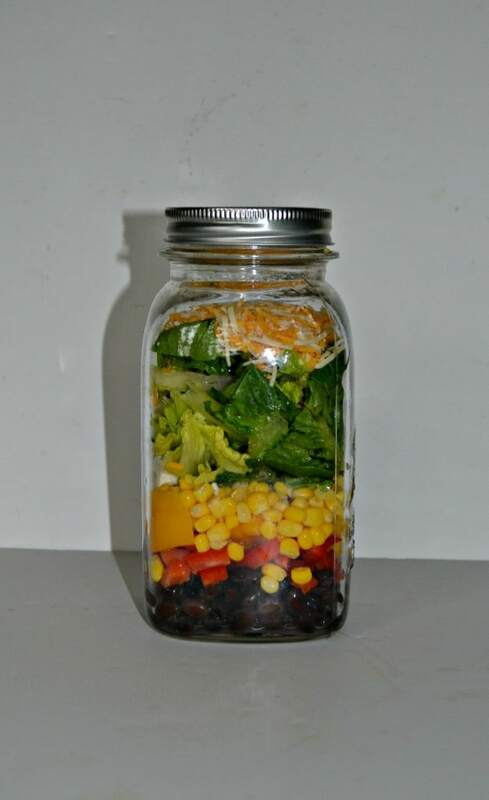 Mason Jar Salads and More shows how to prepare on-the-go meals that are packed with fresh produce and whole foods. Mason Jar Salads is a great cookbook that can definitely be the cure for sad desk lunch. This cookbook came just in time for me to start the new school year. I pack my lunch everyday since I only have 30 minutes to eat and sometimes I get tired of sandwiches or a frozen entree. 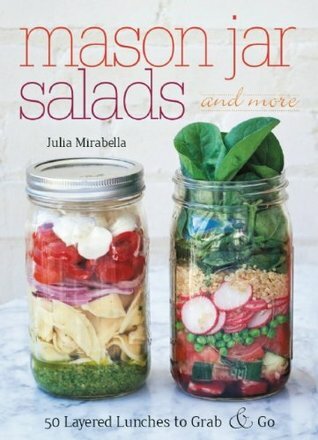 This book provides fresh and delicious Mason Jar salads perfect to take to work. The book is broken into breakfasts, salads, lunch ideas, snacks and dips, and salad dressings. Almost every single recipe comes with a color photo which is great to see. 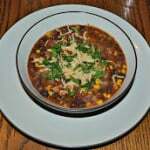 I love how easy the recipes are and there’s a huge variety so I can take a different one every day! Taking my lunch in a jar is a great idea because the jars don’t leak, they are portable, and reusable! Also, the way that the salads are layered keeps the lettuce from getting soggy from the toppings. Then I put the salad dressing in a small container on the side. 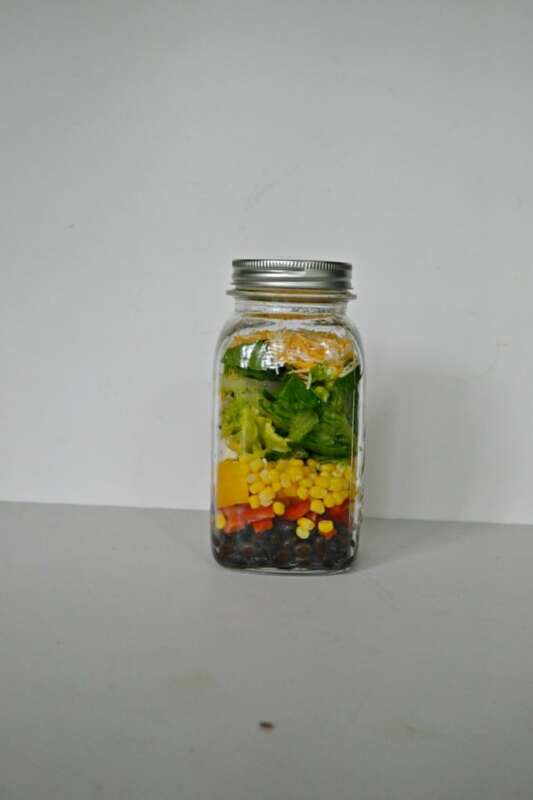 Plus, kids would love opening up a lunchbox filled with fun layered jars! A few of my favorites from the book are steel cut oatmeal, corn and blueberry salad, asian salad greens, guacamole, and blueberry vinaigrette. The possibilities are endless! This is a great cookbook for anyone that packs their lunch to go to work or school. 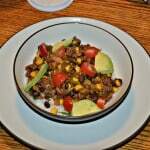 Today I’m going to share the Southwestern Salad. This is a fun and colorful salad. 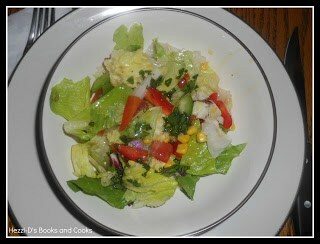 I paired it with the Lime Vinaigrette which is tangy and perfect for the flavors of the Southwestern Salad. « Chocolate Covered M&M’s Apples and Hot Mott’s Apple Juice Cider!